We are proud members of “The International Disc Duplication Association” plus “The Stirling Business Association.” and we are based in Perth, Western Australia. WA Duplication has built a reputation for consistently providing fast turnaround times while maintaining exceptional quality at the best possible prices. Our fully automated robotic equipment runs 24 hours a day and most orders under 3,000 are usually fulfilled within 48 hours, smaller and urgent jobs can often be completed the same day, depending on the workload and quantities required. Your master disc is first checked to ensure it is suitable for CD, DVD or Blu-Ray Duplication and then each duplicated disc is compared and verified to guarantee it is an exact match to the original master. To backup our 100% quality guarantee, we only use premium “A Grade” professional discs from Taiyo Yuden, Ritek and Verbatim. 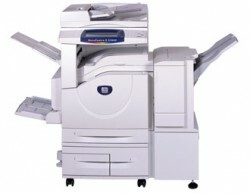 Our new generation On-Disc printers incorporate the latest technology and are capable of printing at 5760 dpi resolution. Quality digital Insert printing including matt, semi gloss and glossy paper parts are guaranteed to be the best possible quality with our state of the art printing facilities. 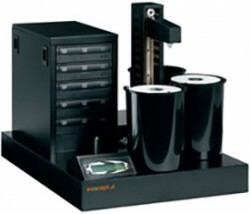 We have various dedicated duplication systems specifically geared up for as little as 10 discs and up to 2,000 discs. 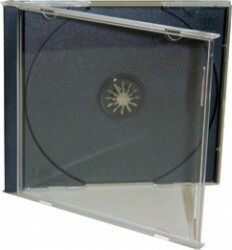 We have a full range of CD and DVD cases and packaging options. Our in-house digital printing facilities are your guarantee of quality. Our Dedication to Customer Satisfaction…. Many businesses promise the world but don’t always deliver. Our continual repeat business is your guarantee that we always deliver on time and on budget and ensure we maintain our 100% Customer Satisfaction. You might think that we make a big deal about the quality of discs and printing etc etc.. but if you had seen what some clients have shown us from other suppliers, you’d understand why we insist on supplying only the best product at the best possible price. CD, DVD and Blu-Ray Duplication, is this the best option? There are two ways of getting copies of your discs, namely Duplication and Replication. In simple terms, Duplication is where the “pits” (your data or audio) are burned onto recordable discs with specialised duplication equipment, while in Replication, the “pits” are actually moulded into the disc during the manufacturing process at the factory. 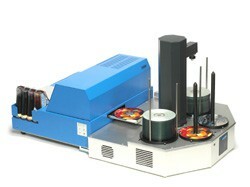 Duplication is the only option for quantities under 500 and where they are required quickly. For quantities over 500 and where you can wait for the 10 to 12 day turnaround time, we suggest Replication. Buyer Beware! There are a lot of counterfeit cheap discs available now and unfortunately, the cheaper they are, the more problems and failures you tend to have with them. When comparing prices and quotes for either cd or dvd duplication, ensure the brands and discs you are being offered are of the highest possible standard and quality. For this reason, we only use premium “A Grade” licensed discs sourced from suppliers who provide evidence of compliance to quality, royalty and copyright issues. Taiyo Yuden are undoubtedly still recognised as the world’s best discs.